The A.V.S.P.N.I. is proud to lend its weight to the campaign to end the slaughter of livestock without prior stunning which was launched this week by the B.V.A. in conjunction with the R.S.P.C.A. Among our core beliefs as an Association has always been the principle that the veterinary profession should give a lead in the wider animal welfare debate. As a veterinary organisation many of whose members work with food animals we feel that concern for the welfare of livestock at the time of slaughter must always be part and parcel of a meat-eating society. Our unwavering opposition to non-stun slaughter is longstanding. 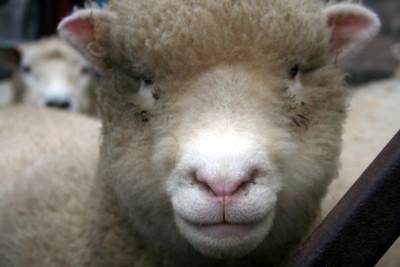 We understand that at present no animals are slaughtered in Northern Ireland without first being stunned. In the absence of a functioning devolved government there is no prospect of legal measures to end the practice of non-stun slaughter being introduced. For the present however we would call for the mandatory labelling of meat products with the method of slaughter to enable consumers to exercise their right to choose. The A.V.S.P.N.I. would further call for the import of meat products derived from unstunned animals to be restricted to the quantities required to meet the needs of those religious and ethnic groups whose beliefs require it. A moratorium on the export of animals for slaughter elsewhere without prior stunning is also much to be desired. The slaughter of animals without prior stunning was outlawed in Denmark in 2014 and in the Flanders province of Belgium this year. The A.V.S.P.N.I. believes it time Northern Ireland followed suit. Book your place at the ‘Anaemia & Bleeding Disorders’ meeting now! Places are Limited! Why not join us on Thursday 7th March for an interesting and important insight into ‘Anaemia and bleeding disorders’ taken by Laura Macfarlane. This talk will provide an overview of the diagnosis and treatment of the myriad of conditions which can result in the presentation of the pale, weak and sometimes collapsed dog. Don’t miss out on hearing about this common but sometimes puzzling clinical conundrum. Places are limited and already filling up fast. “A brilliant night’s CPD” was one of the comments received about the February meeting on Endocrinology. There was a full house to hear Barbara Gallagher deliver an excellent talk on common conundrums in Endocrine disease. Addison’s disease, feline hypothyroidism and feline diabetes were among the topics discussed. Barbara discussed a diabetes case where the patient achieved remission and shared the factors which influenced this outcome. Barbara also shared other useful tips with the delegates. The evening was made all the more enjoyable with an excellent supper provided by Alex Berry. The desserts certainly seemed to hit the spot!! Our grateful thanks go to Barbara who had a long drive home after the event. Why not join the Committee for the next meeting on Thursday 7th March when Laura MacFarlane will be delivering a presentation on anaemia. The Canine Health Schemes is a BVA and Kennel Club partnership that screens for inherited diseases in dogs, with screening currently available for hip and elbow dysplasia, hereditary eye disease and chiari malformation/syringomyelia. All these diseases have the potential to be life limiting or life altering, having serious impacts on the health and welfare of dogs. DAERA will implement changes to the administration of the EU Pet Passport Scheme with effect from Monday 7 January 2019. To assist with the preparations for this change, eligible Veterinary Practices in Northern Ireland, i.e. those with an Authorised Veterinary Inspector (AVI) approved for certification of pets should have applied to DAERA to register their intention to continue to supply Pet Passports. To date almost 80 practices have confirmed they will participate in the new scheme. From Monday the DAERA website will publish a list of all participating practices. If you believe your practice is eligible but haven’t yet signed up, drop tradeadminpost@daera-ni.gov.uk a line as soon as possible to see if they can accommodate you. In November 2018, Red Tractor introduced a risk-based approach to inspections in the pig sector. This will come into effect in dairy and poultry in April 2019, with the other sectors following in Autumn 2019. The strengthening of the inspection programme is to ensure that the reputation of the majority of members who are conforming to the standards is maintained and part of a wider strategy to increase consumer confidence in food carrying the logo. Red Tractor are confident that this is an effective and fair method to encourage and improve 365-day compliance with the standards. Vets can help to raise awareness of these changes with their Red Tractor clients. More information on the risk based inspections can be found here. WEBINAR: Red Tractor are running a webinar on Monday 21st January at 7.30pm to talk through the risk based approach to inspections. You can register for this here and again, can help by sharing this with any of your clients who are part of the Red Tractor scheme. Seen any dogs jumping on trampolines or pugs on Christmas sweaters? 8 in 10 vets are concerned about the irresponsible representation of #PetsInAds. Vets are encouraging animal lovers and members of #teamvet to alert brands who’re using inappropriate images of #PetsInAds. You can find lots more information about the campaign and a template letter for writing to companies here. 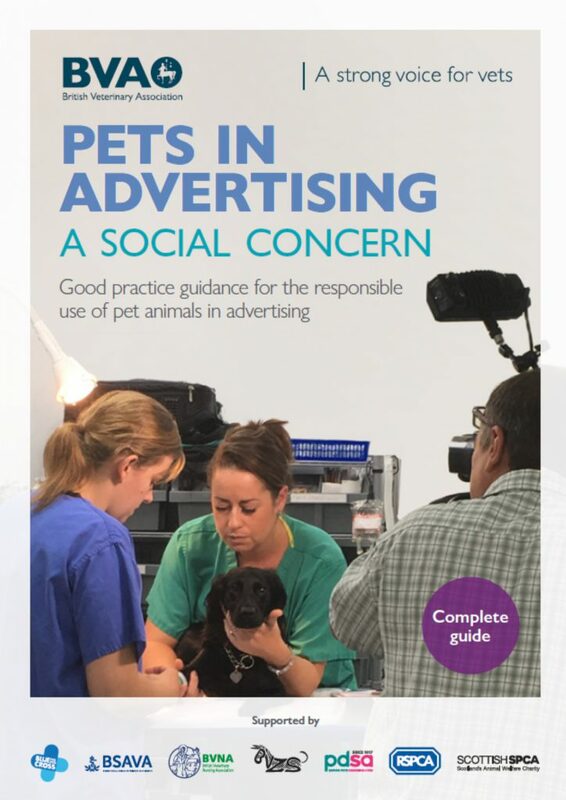 @BritishVets has launched these good practice guidelines www.bva.co.uk/advertising- to help companies avoid a #PromoNoNo and promote positive animal health and welfare in their adverts. Omagh day 2019 will take place on Wednesday 9th January 2019 at AFBI Labs in Omagh. There will be 4 great lecture topics included on the day and those local vets who are delivering their presentations will be judged by the RCVS President Amanda Boag. This will be followed by the AGM (members only) and a lovely dinner at the Silverbirch hotel. Omagh day is strictly limited to registered delegates only so it is important that you book your place for this event!